Your watches deserve the best so we service watches of all values both modern and antique. Using current watch repair techniques with all the latest technology, ourCW21 and/or WOSTEP Swiss-trained watchmakers make certain your watch will have the “time” of its life. Our professional & friendly staff take pride in their work on your vintage watches too. 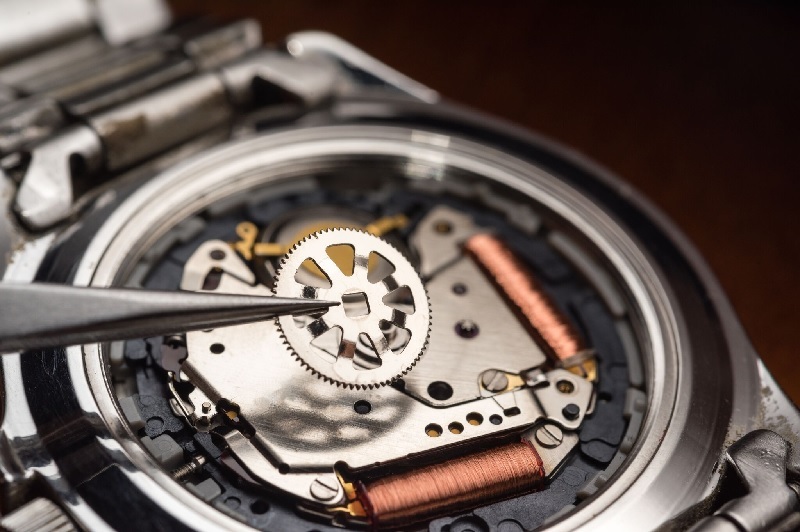 We change watch batteries on site while you wait, pressure test your watch any time you bring it in for repair and can change out bad gaskets in order to maintain water resistance. If the watch battery isn’t the problem we can replace the movement without a hassle. We use OEM original watch crystals when available and hand cut when needed to replace odd shapes. If it is a watch strap your in need of we have the best selection in the northwest. We also recommend a watch cleaning any time you come in for repair or at least a minimum of every 6 months to a year. When you bring your collection to us we pay attention to every detail so you don’t have to. The most important factor in our success is your satisfaction. Our clean room ensures your watch is dust free and all repairs are to the exacting standards set for by our forefathers in American watchmaking.